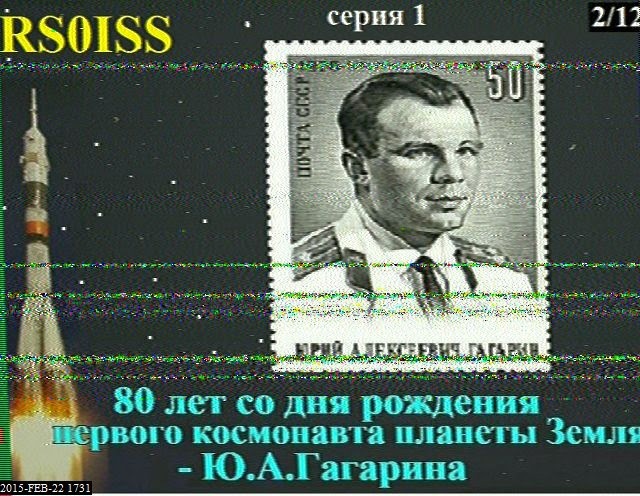 Like many others around the globe I spent yesterday attempting to receive and decode the SSTV transmissions being broadcast from the International Space Station by the Russian Cosmonauts. 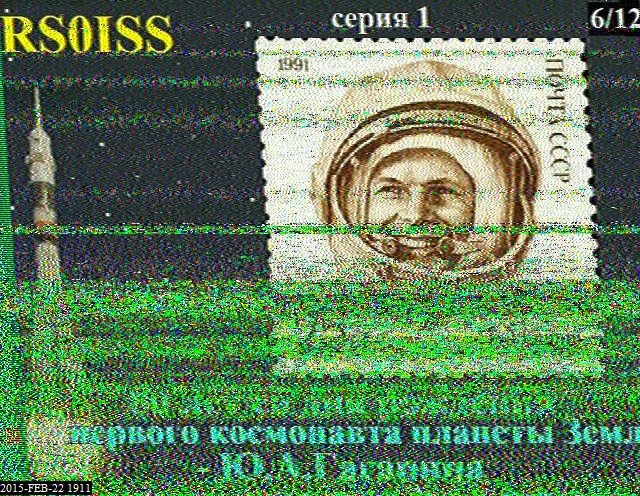 The SSTV activity had been due to last three days starting on Saturday but commencement was delayed by the NASA space walk. 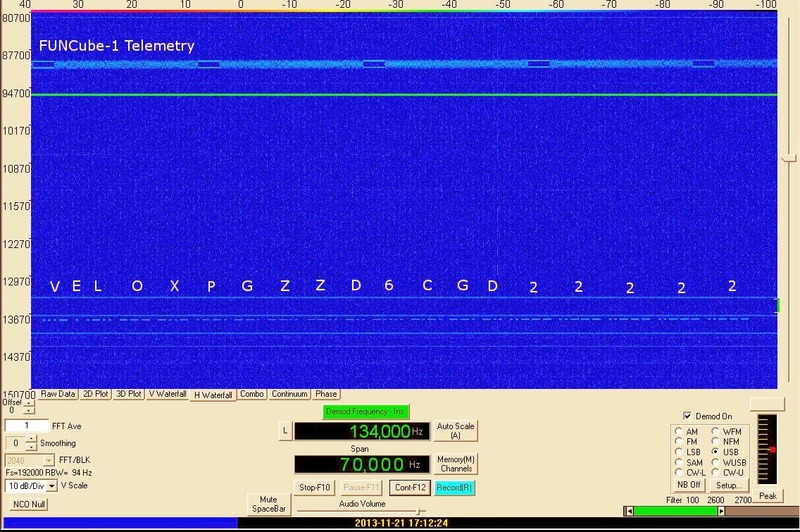 Receiving the signal and decoding is relatively straightforward due to relatively high power used (around 25W) however getting a perfect image is a challenge and dependant on a number of factors. The timing of the overhead pass. 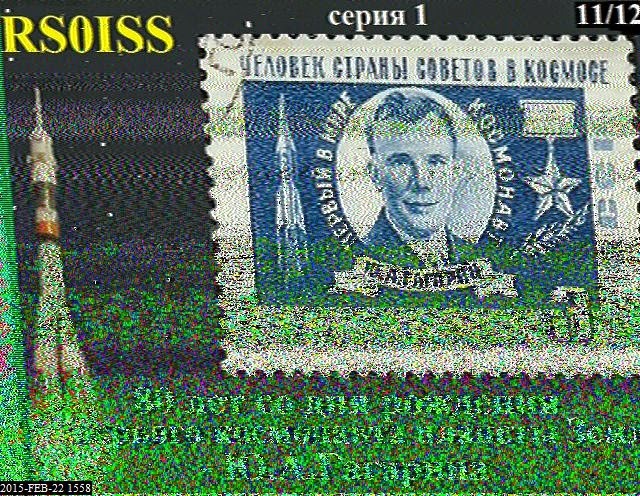 Due to the time taken to transmit the image and the three minute delay between each image it is possible to only be in reception range for the end of one image and the start of the next. 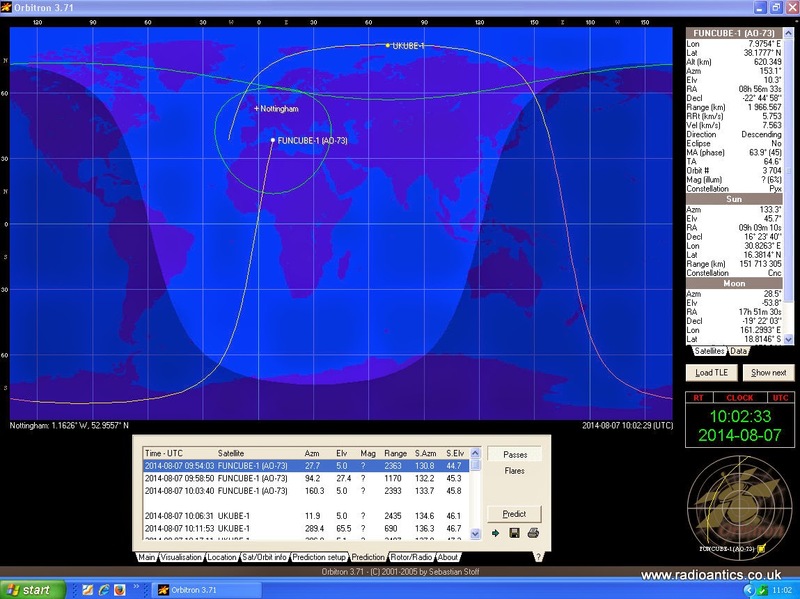 The ISS is moving quickly and so the transmission suffers noticeable Doppler shift. FM is more immune to the effect but for optimal performance adjustment of the tuned frequency is required especially on high elevation passes (more information). 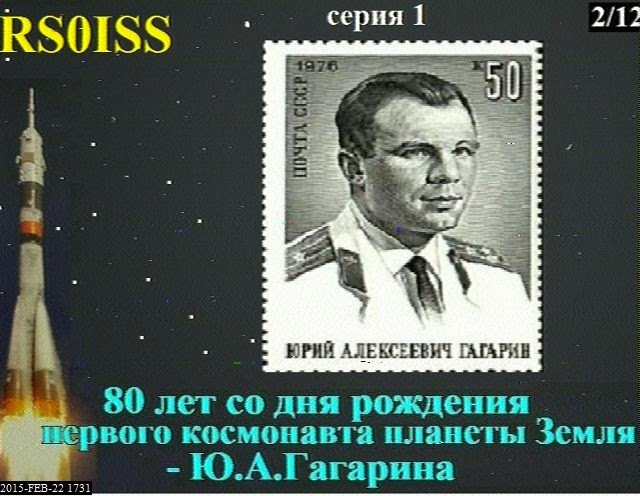 The ISS moves position, both in direction and elevation as it moves across the sky and will show up the peaks and troughs in a static antennas radiation pattern. This leads to bands of noise when the signal level falls. 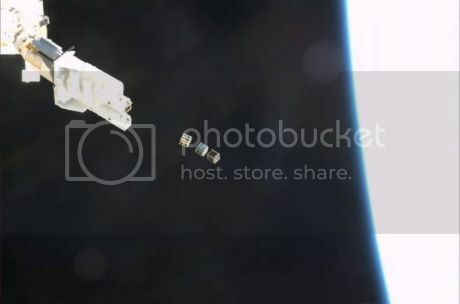 The use of a rotatable (and if possible tiltable) antenna (or even an handheld one) is the dirigour mode of operating satellites (and the ISS) for serious enthusiasts. Noise and local interference will also obviously affect the image. 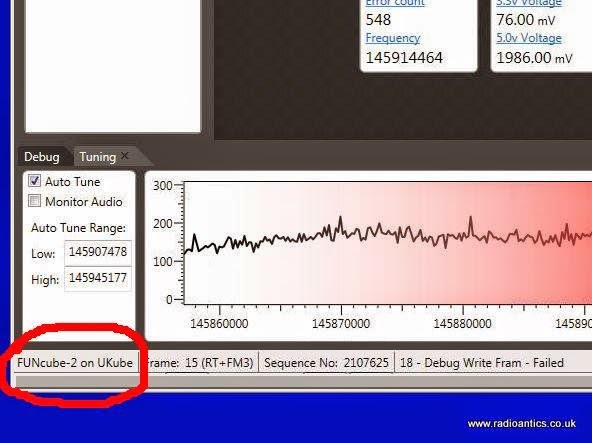 I opted a two pronged approach, the Yaesu FT857D connected to my rotatable four element YAGI which is mounted horizontally for SSB and the old TRIO/KENWOOD TR9000 was connected to the X50 dual-band collinear mounted vertically. 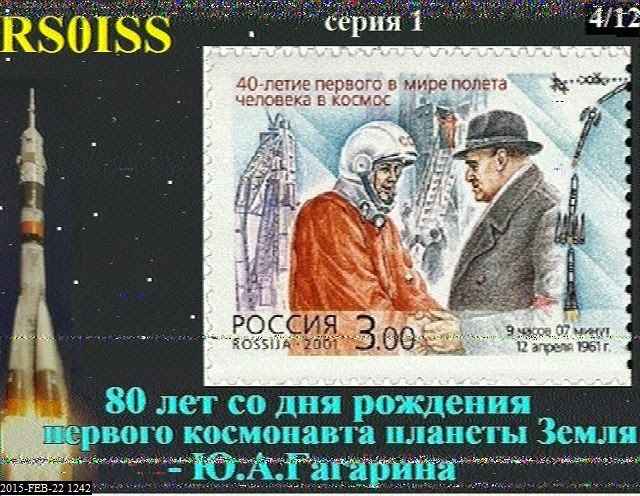 I had two copies of the MMSSTV program running on separate laptops The TR9000 was left running largely unattended tuned to 145.800MHz, while the FT857D was tweaked to the optimum frequency while the YAGI antenna was rotated to the correct azimuth during the pass. 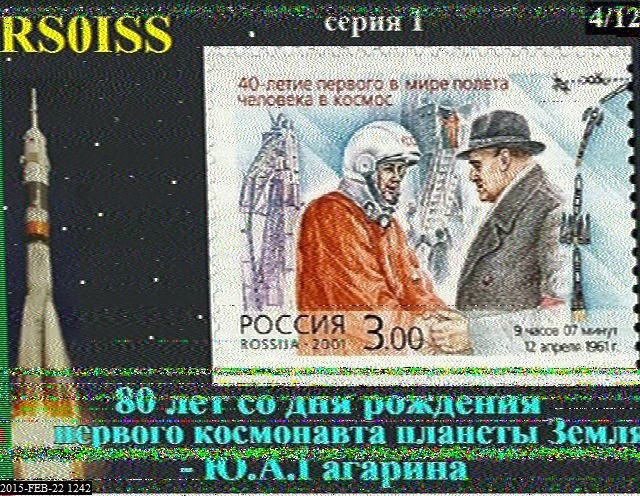 I missed the first low elevation at 11:07UTC, but was able to monitor and decode images on all the remaining passes during the day, with some excellent results, the images show the full images decodes on both radio set ups as a comparison. 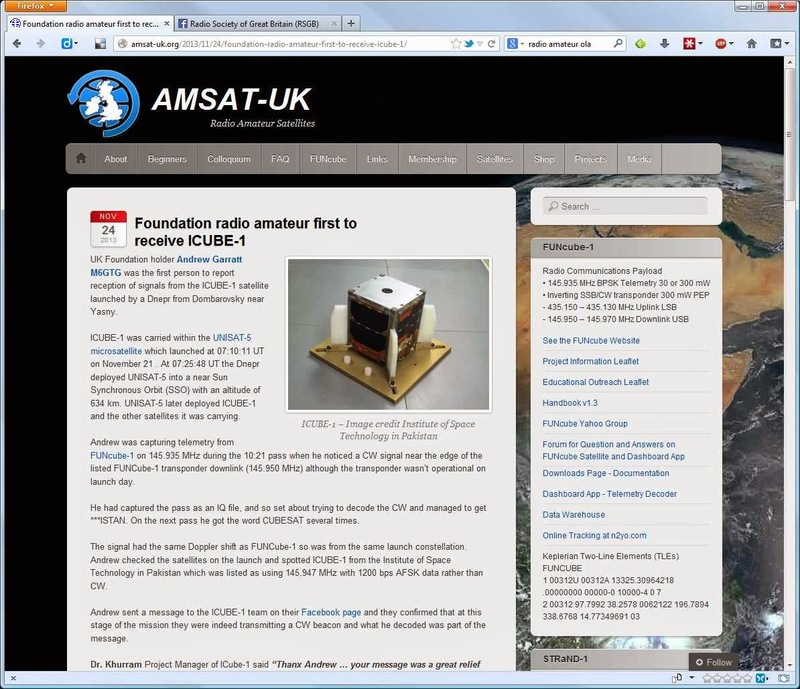 I was especially pleased when one of my best images was featured on the Amsat-UK and the Southgate Amateur Radio News websites. 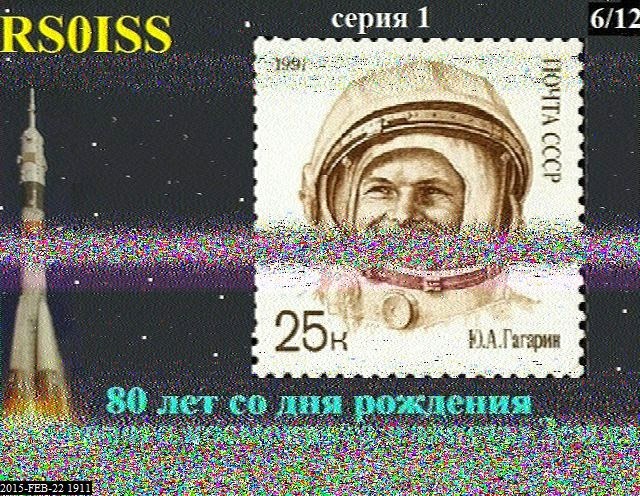 What was slightly worrying and it also happened during the last SSTV activities were some operators transmitting on the downlink frequency even during a pass, what sounded like someone keying up was responsible for the single noise line on another perfect image. 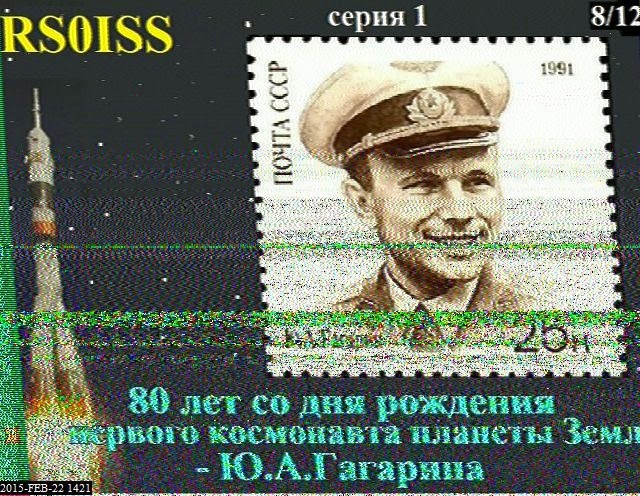 I even received an unexpected SSTV image, complete with a call sign while the system was waiting for the next pass. I won’t publish it here as everyone makes mistakes. 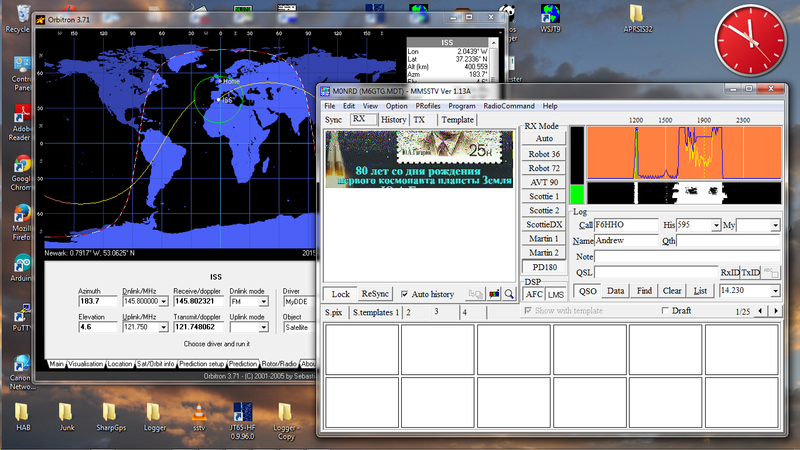 The experiments are continuing today but I am in work so will just leave an automated set up running on the collinear. 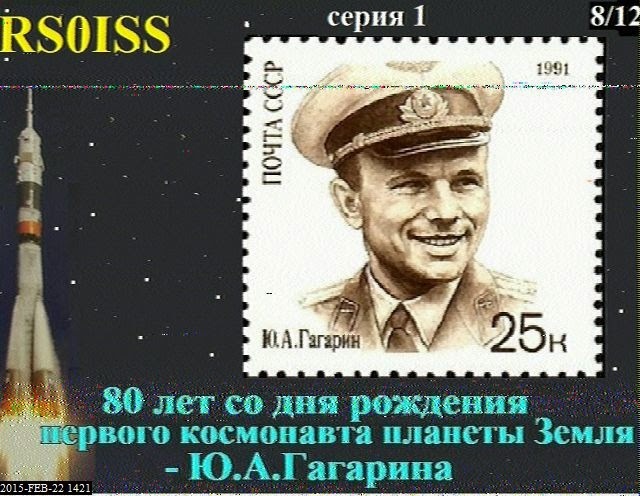 Long may the activities continue, hopefully started to transmit some live images from space. 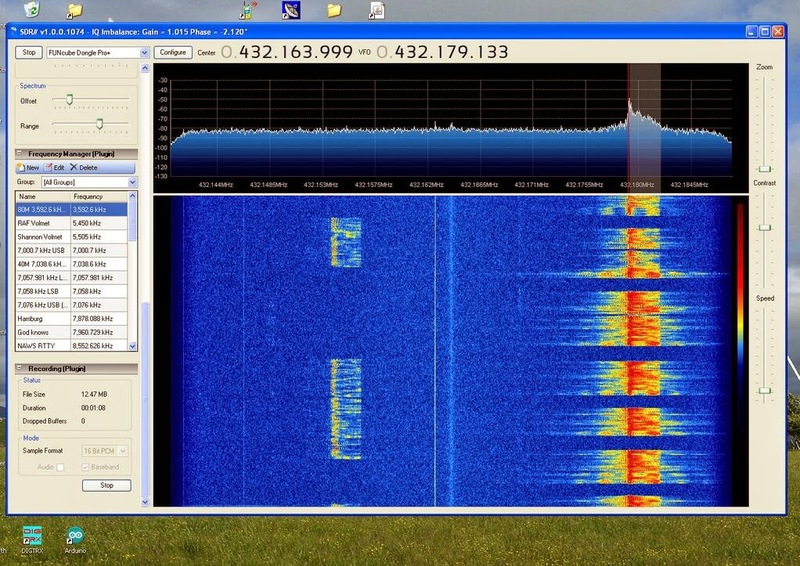 Tuesday night is RSGB UKAC contest night, this week on 432MHz. Following the frustrations of the weekend I spent a therapeutic Monday evening cutting various lengths of RG213 and fitting N-Type connectors. 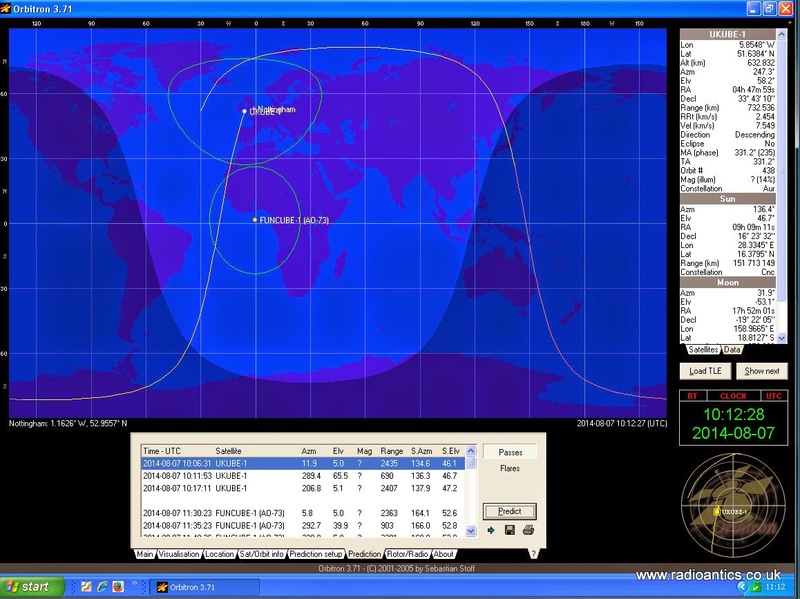 I have now got a coax run through the wall into the shack, with another to follow soon. 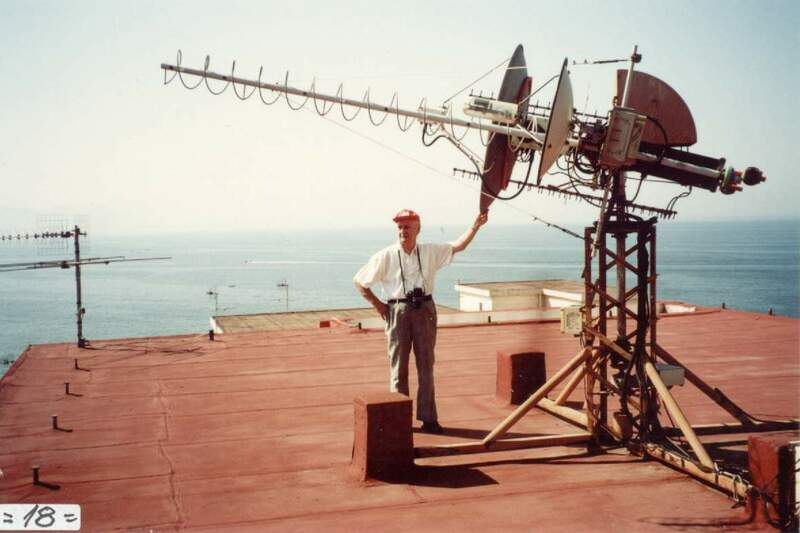 To facilitate ‘switching’ between multiple aerials I have fitted each aerial with a length of coax running down the pole, terminating in an in-line N-type socket near the base. It is a simple case of connecting the appropriate shack coax, fitted with a n-type plug, to the appropriate socket. To keep everything water and weatherproof I have opted for a DRi-BOX. These are inexpensive plastic boxes sold as waterproof housings for outdoor electrical installations such as garden or Christmas lights. The lid has a silicon seal and there are a number of cable entry points with a flexible seal. When the lid is firmly clamped securely in place the box is effectivly watertight. It is a bit of a fiddle with the thick RG213 but it seems to work well. There was a vicious thunderstorm and downpour yesterday afternoon and the Dribox lived up to its claims after sitting in a few inches of water. Still awaiting the X-50 collinear on the top! 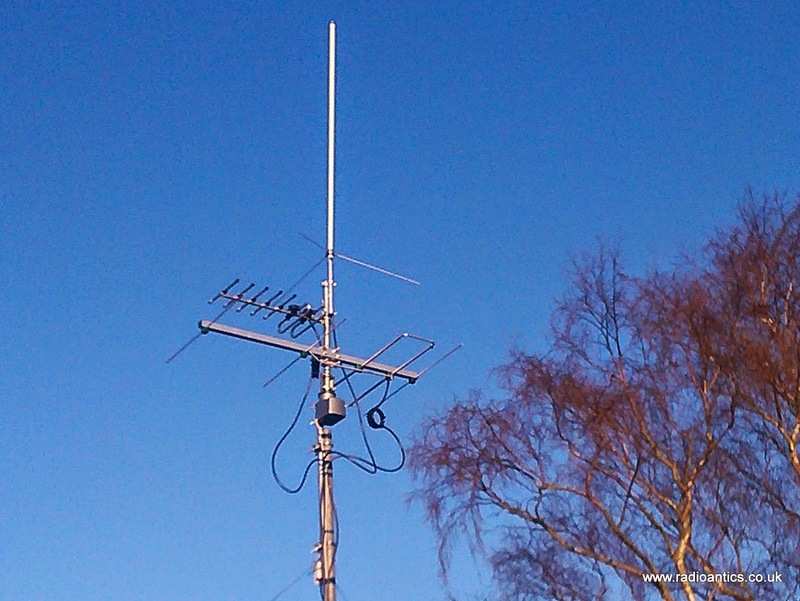 The pole now has the 2M Yagi and the 70cm 7-element ZL-Special fitted. The 70cm aerial is far from optimal but I was looking forward to giving a go with some decent coax. Tuning around prior to the start of the contest and the band seemed quiet, hearing just a strong local operator. The contest start time passed and I was met with a wall of static only hearing the occasional very weak signal. 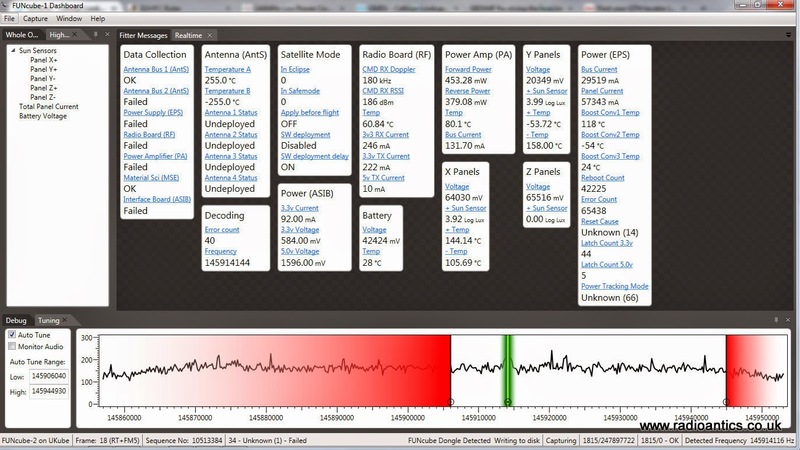 I tried unplugging and reconnecting plugs, new patch lead, took the VSWR/Power meter out with no effect after 20 minutes I gave up. I decided something was obviously wrong with my new installation at the top of the pole. 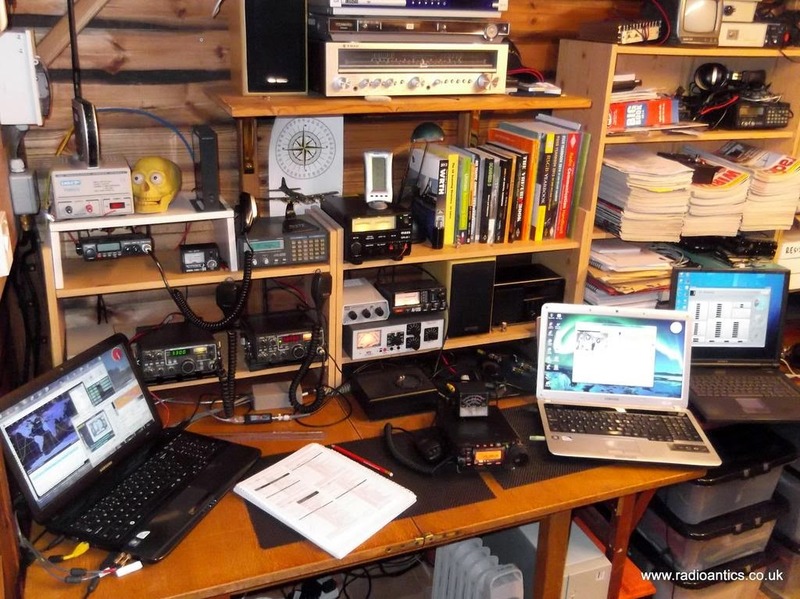 Going back into the shack and things had improved, so perhaps it wasn’t my setup! After missing nearly a hour I searched and pounced again, just making 14 contacts but achieved my highest score so far for a 432MHz UKAC contest, still operating as M6GTG in the low power section. Various operators have commented on the weird/poor/flat conditions last night, so perhaps I shouldn’t have been so dismissive of my ability to put up a decent antenna! 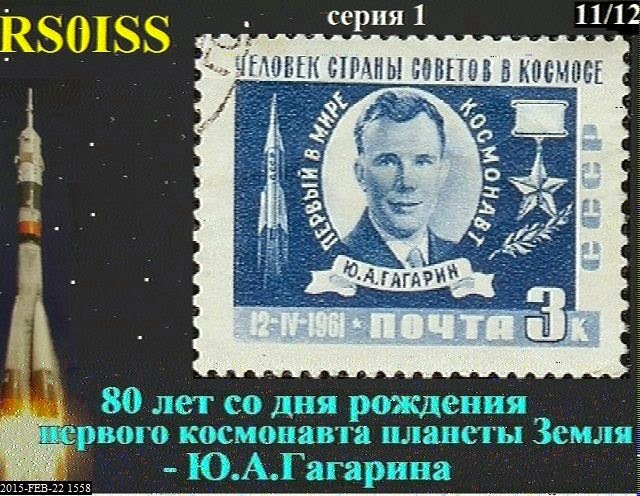 They may officially ask for assistance but after unexpectedly making the first signal report back on the 21st November, I thought I was just ask if anyone could keep an ear out. 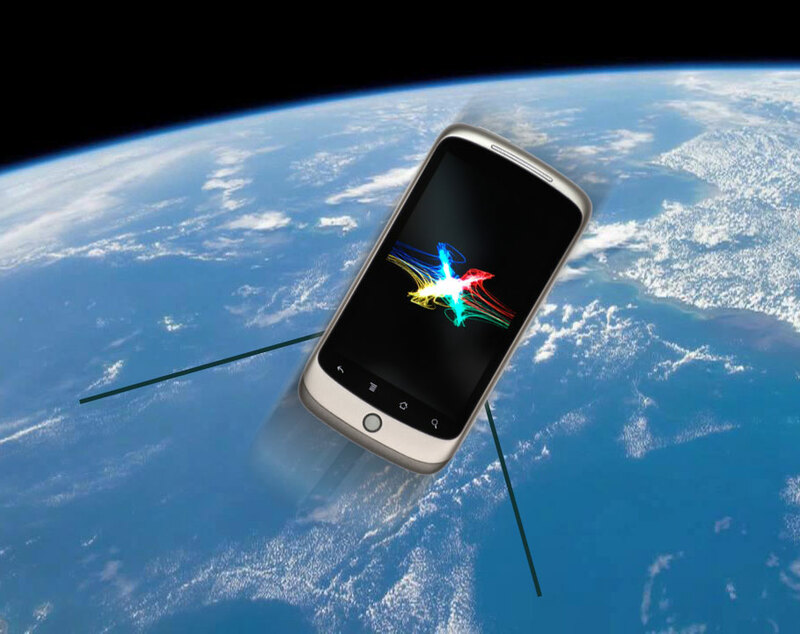 The first qualification Vega flight from the space center at Kourou in the Caribbean is scheduled to take place on February 13. Vega is a new launch vehicle from ESA/Arianespace to handle small to medium-sized satellite payloads. It is a four-stage launcher tailored to carry the growing number of small scientific spacecraft and other lighter-weight payloads. 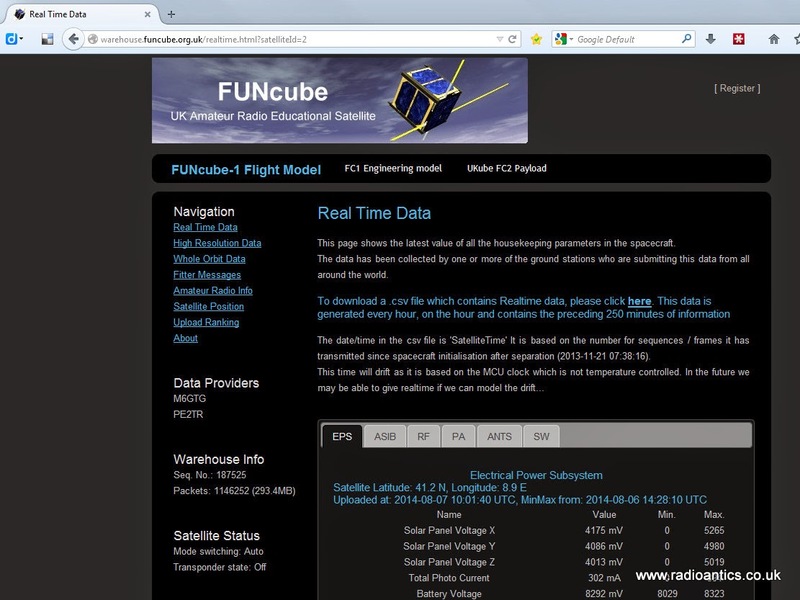 The first flight is carrying eight student built amateur radio satellites comprising seven CubeSats and a microsatellite called ALMASat, Arianespace have just released a video showing the payloads. 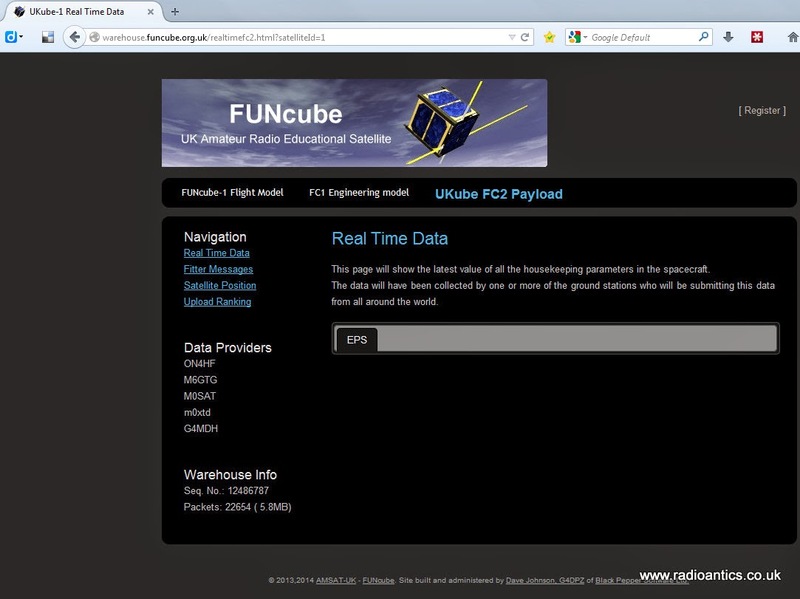 There is a lot there to have a go at receiving with the old FUNCube Dongle! 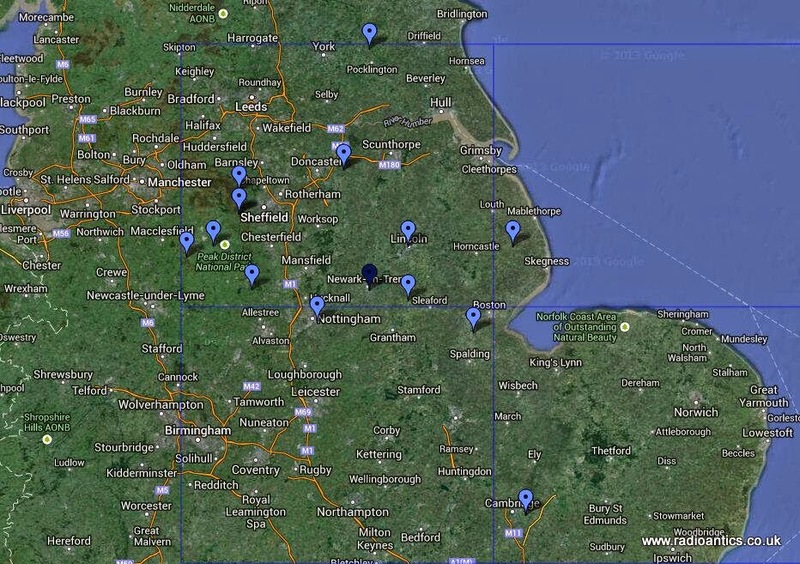 I will have to get around to finally construct myself a homebrew 70cm antenna in the next few days.